During Stampin’ Up!’s annual Sale-A-Bration event, you earn FREE Sale-A-Bration rewards for every $50 US/$60 CA you spend on Stampin’ Up! products, including the very diverse Botanicals for You Stamp Set and Botanical Gardens Designer Vellum Stack - two of this year's Sale-a-bration offerings! One of the things that makes these products so cool is that they coordinate perfectly with the Botanical Gardens Suite from the 2016 Occasions Catalog. Throw all of these products together in a semi-organized way and come out with a set of four fantastic cards, as well as a nifty card holder. 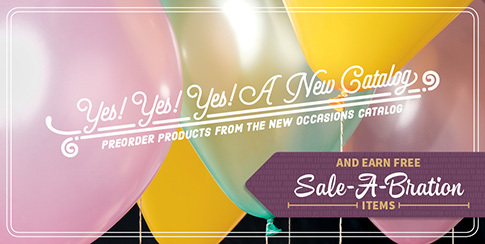 Life is good during Sale-A-Bration! 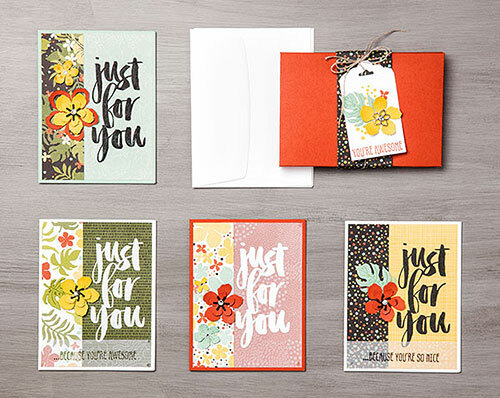 Contact me today to learn how you can get your hands on these tropically-themed products!